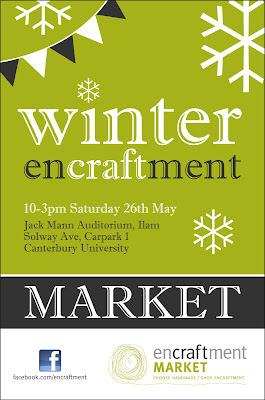 The Encraftment Market is back again this weekend with a brand new venue. 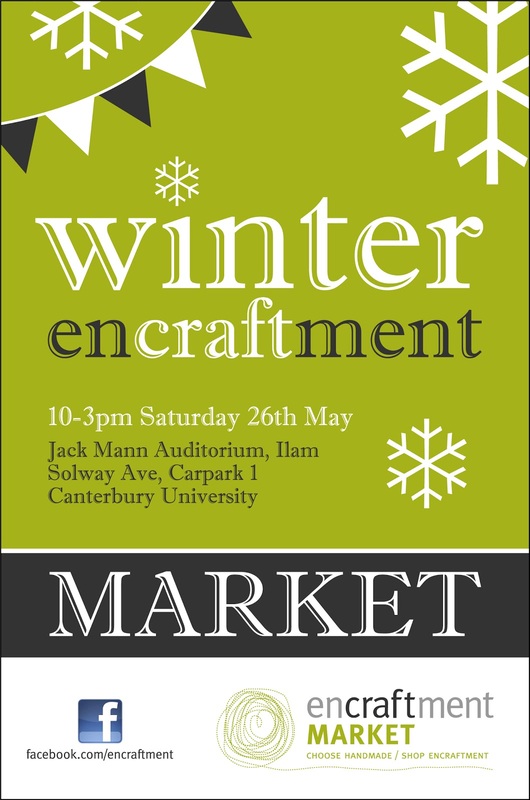 It's on from 10am till 3pm on Saturday the 26th May at the Jack Mann Auditorium, Solway Ave which has plenty of parking. I'll be outside in my gazebo – and will be bringing candles to light in case it is cold in the morning! It's been a bit hectic around here lately. We've moved out of our house while earthquake repairs are completed. Fortunately we found a place to stay close by, and I've been able to pop back and make candles and get the bits and pieces I need. As part of the repair process, my office will be getting repainted, and I have picked a duck egg blue colour which I have high hopes for! The only problem is I might have to get some new curtains to match the new colour. I have some new soy floating candles I hope to have ready for the market. They may take a little longer to list up on the website due to my usual photographing area being unavailable.